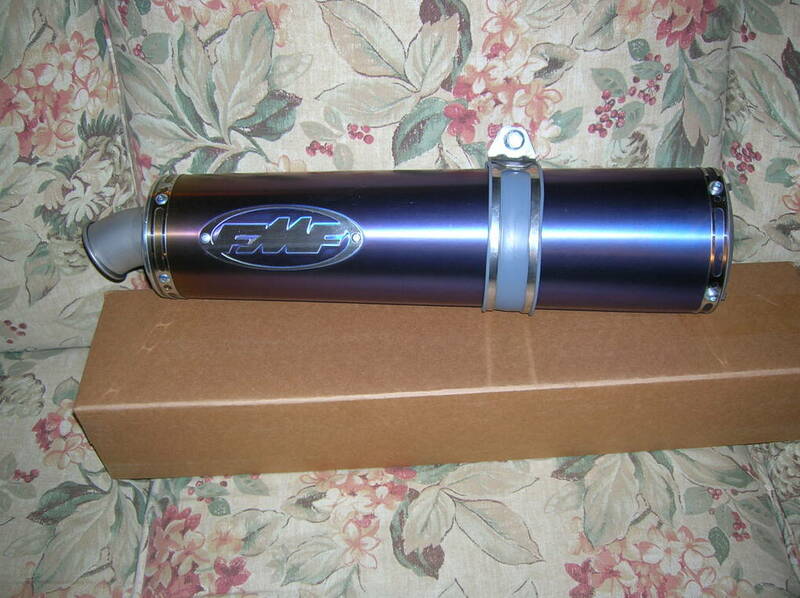 PowerCore S model by FMF I just got today. They stopped making them so if you want one find an online store soon. Prices are about as good as they'll get. Sorry for the bad lighting in first picture. Color is blue fading to purple. Construction is titanium. 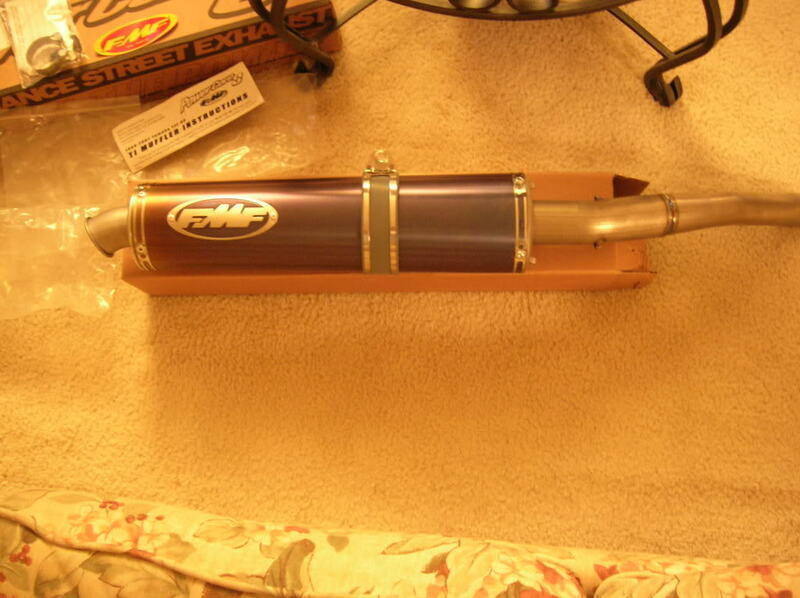 UPDATE: Got this and a modified R6 header installed on my FZR a couple weeks ago. It has definitely added some good midrange horsepower, even over the Vance &amp; Hines SS system I had previously. This is close to how it ended up looking. I made an aluminum mounting bracket so it would hang off the passenger peg very nicely. 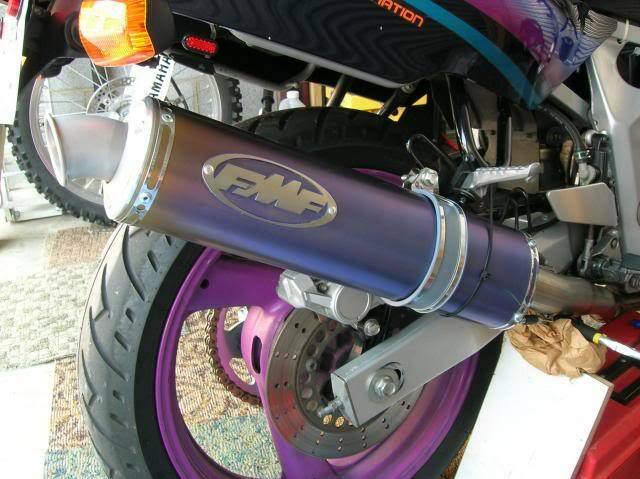 Some online stores still have the FMF pipes if any of you guys want to give them a try. They also come in gold / bronze and silver titanium, also aluminum, which is less expensive. Yes they make them for several Honda models also.